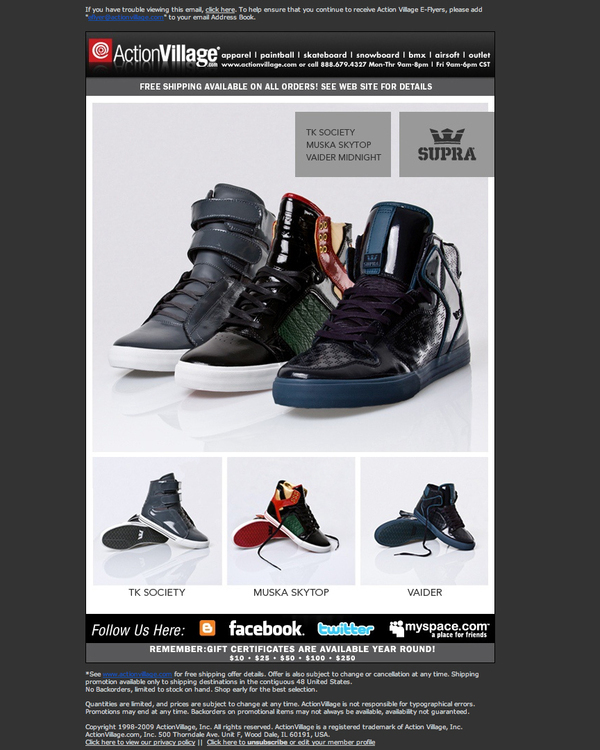 An email flyer for Supra Footwear I created that was show case on Actionvilage.com. I am responsible for the lighting and photography, design and coding of the flyer. Email flyer to showcase Supra Footwear for ActionVillage.com. Photography, Design and Programing.